2017 Bloggers Bash Awards – I’ve been nominated! Previous post: 20 Book of Summer is just around the corner! Next post: My 20 Books of Summer List is Finalised! I am delighted to have been nominated for this year’s Bloggers Bash Awards in the category of Best Book Reviewer! This is the first time I have been nominated and I am really chuffed. I’ve no idea who nominated me, so thank you to my mysterious benefactor! The Bloggers Bash Awards is an annual ceremony held in London that celebrates blogging in all its forms and has awards nominated for and voted by bloggers themselves. Voting opens today, so if anyone would like to cast a vote for me here I would be very grateful. 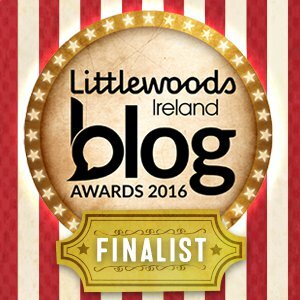 I’m nominated alongside some of my favourite blogs so I’m delighted to be in their company! Fingers crossed, Cathy. V deserving! Many congratulations, Cathy. Thoroughly deserved! Aw thanks Susan. My poor blog has been neglected a bit lately so this is a nice surprise. Congrats Cathy. I see I’ve been nominated too! I had no idea until I clicked the link in your post. I’ve never heard of these awards before. Congratulations Cathy – best of luck! Congratulations Cathy – well deserved! Yay! I voted for you – despite never having heard of this before.Fingers crossed.